WonderHowTo Cake Decorating Use a smaller piece of fondant for the nose, pressing it in with a knife, then use the knife to create a smile on the mouth. Push into the mouth to smooth out the cut. Then use a ball tool on the bottom of the mouth to create lips on the figure. Use a piece of purple fondant to make a purple hat and draw plaid markings on it. Make hair by using icing, and make... Part 1- I will start this drawing by taking a second to look at my reference photograph on the left. I try to see the mouth as one big shape first and I try to match that shape as best as I can to start. Drawing the nose and mouth for a profile is more difficult than drawing them from the front or at a 3/4 view. The main reason for this is because you can't get away with not defining the lips as much. ^_^ You have to draw them in, rather than using just simple straight lines. 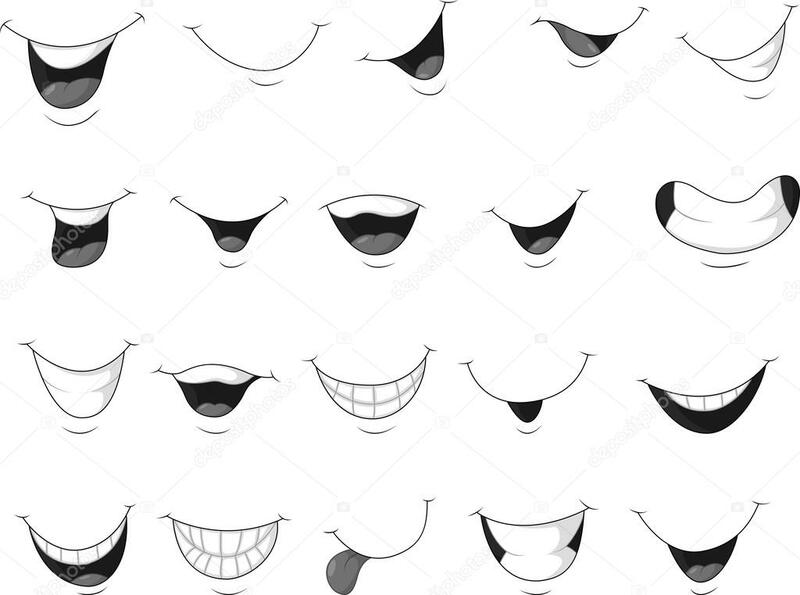 Next you'll need a mouth, the mouth is one of the biggest parts to making an expression as it's one of the first things people look at when identifying one. If you're going for a basic expression such as sad or happy, this step alone could give that result. But expressions go a lot deeper then a smile or a frown, and so does this little how to! Part 1- I will start this drawing by taking a second to look at my reference photograph on the left. I try to see the mouth as one big shape first and I try to match that shape as best as I can to start.